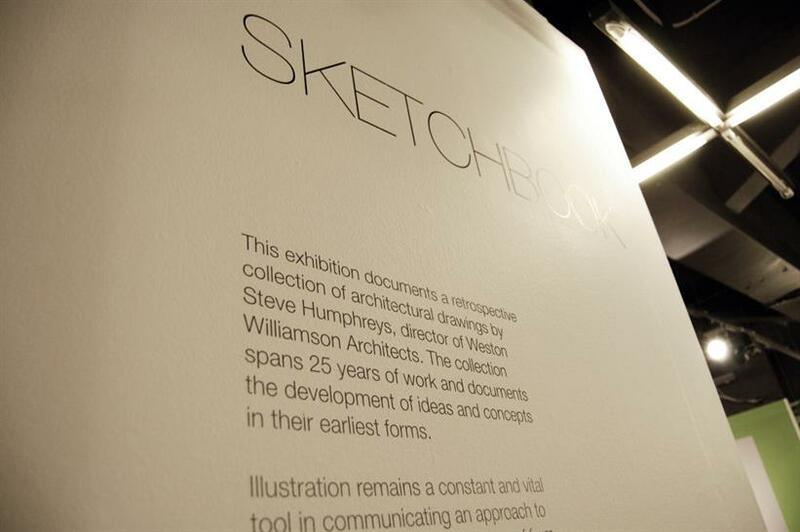 The Sketchbook exhibition at the NLA, London was a showcase of the architectural drawings of Steve Humphreys, director of Weston Williamson Architects. Selected from an archive of work created over the past 25 years, the drawings are the lasting relics of Steve’s initial ideas and concepts, carefully constructed by hand. While some are sharply linear and rigid, others abound with movement and fluid adaptation. For architects of the twenty-first century, computer-generated imagery is increasingly becoming the predominant method of communicating design concepts. The process of visualising ideas in this way is no less laborious than the age-old technique of putting pen to paper, and requires no less time, dedication and skill. Yet the limitations and order that computer coordinates require mean that something is lost in translation – the elements of impulse, of indecision and fluidity have to be thought-through and analysed before they can be materialised. Yet the exhibition itself only displayed a limited selection of Steve’s drawings, which were in fact digital re-prints, mounted onto board, and beside these was a digital projection of the drawings that had been traced digitally, with one image slowly morphing into the next in hypnotic procession. 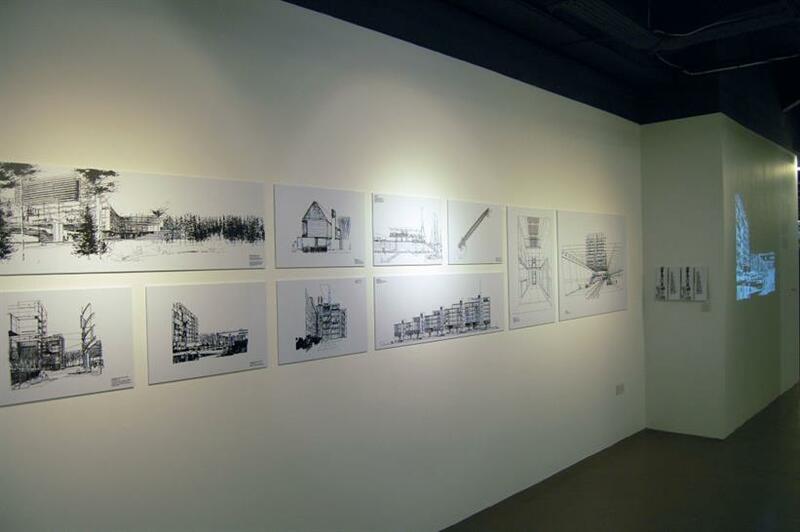 This was an exhibition that aimed to celebrate the beauty of pen on paper, yet there was not a sketchbook in sight – only computerised reproductions. While it would have been interesting to see the pencil drawings in the flesh, it seems that, rather than being a misnomer, this avoidance of the tactile only emphasises the fact that the need for digitisation is now inherent in architectural design.